This chapter analyses endogamous communitarianism as the flipside of unlimited individualism. The need for community that reappears in the global age has two roots: on one hand it is the response to the erosion of the social bond produced by unlimited individualism; on the other, it results from the defence of identity by groups and collective formations involved in “struggles for recognition”. 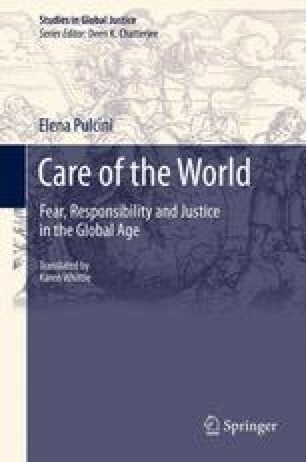 Therefore, although the need for community in itself appears legitimate, since it responds to the erosion of the social bond and dynamics of exclusion, it becomes pathological when it takes on regressive and destructive forms based on the Us/Them contrast and gives rise to the conflicts (in particular ethnic and religious) and fundamentalisms pervading the planet. Endogamous communitarianism equates to the formation of what are described in this chapter as immunitarian communities: since the defence of internal cohesion transforms into external hostility and violence. Unlimited individualism and endogamous communitarianism appear as the opposite and specular polarities of a gap with Self-obsession on one side, and Us-obsession on the other: a divarication that results in a ‘loss of the world’.